Looking for a benchmark example of tannic astringency in wine? You won't find a better demonstration than the uncommon French (and Uruguyan) grape Tannat. If you're looking for a benchmark wine to help you pin down that scratchy, mouth-drying black-tea astringency that wine tasters call "tannic," you'd be hard-pressed to find a more vivid example than the uncommon French grape that may actually take its name from the effect: Tannat. Tannins, simply put, are complex organic compounds (known as "phenolics" in chemistry-speak) that occur naturally in grapeskins, seeds and stems and that impart a distinctly astringent (mouth-puckering) flavor in wine. A smaller amount of tannin may also be contributed by oak, particularly in wines aged in small, new oak barrels. Because red wines are fermented with the grape skins while white wines usually are not, reds tend to be much more tannic than whites; and certain varieties are particularly tannic, including Cabernet Sauvignon, Syrah and Nebbiolo, for example, and the less-familiar Tannat. Tannins are considered desirable because their anti-oxidant properties help preserve wine in aging. Over time in the cellar with ageworthy wines, tannins undergo a gradual chemical change called polymerization; astringency fades and the wine's flavors take on a more mellow complexity. Historically, many wines meant for aging - Bordeaux and Rhone reds in particular, and Vintage Port - were virtually undrinkable in youth because of their fierce astringency. In modern times, market forces and a demand for instant gratification has prompted changes in wine making that render even many of these big wines drinkable, if not necessarily at their best, soon after purchase. The same is true even of Tannat, but its natural tannins remain so prominently puckery that the wine gives us a serious remembrance of times past. Virtually all varietal Tannat on the market comes from two places: The Southwestern French region called Madiran (which usually adds Cabernet Franc and Cabernet Sauvignon to a Tannat-dominant blend); and Uruguay, a smallish South American country tucked between Brazil and Argentina, where 19th century Basque immigrants apparently introduced the grape and made it as much a trademark wine of the region as Malbec became in Argentina. It's not an easy wine to find. Uruguay has only about 300 wineries growing only about 25,000 acres of vines, and few of them export. Today's featured wine is likely distributed only randomly around the U.S. and the world. If you want a taste of Tannat, though, if you can't find this wine, look for any Uruguayan Tannat - it's gaining a bit more visibility as producers seek an export market. French Madiran should also be represented with at least a few labels at wine shops in larger cities. 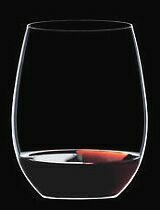 FOOD MATCH: A wine as tannic as this needs rare beef or lamb to "tame" its tannic astringency, and I couldn't have asked for a better match than a locally grown and produced rib eye, pepper crusted and pan-seared medium-rare. VALUE: No complaints in the middle teens, particularly if you enjoy the opportunity to add a less familiar country and grape to your life list. WHEN TO DRINK: It can certainly be enjoyed now, particularly, as noted, with rare red meat. Still, its powerful tannins, reasonable fruit and acidic balance should see it through as much as a decade in a good cellar.